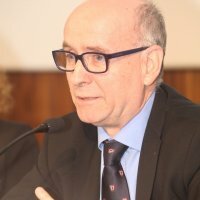 EL BLOG DE EDUARDO ROJO: Propuestas sobre inmigración del Partido Conservador británico. Propuestas sobre inmigración del Partido Conservador británico. Estas son las propuestas del Partido Conservador británico, vencedor en las recientes elecciones, sobre inmigración. Ahora, toca esperar a saber cómo actuarán si finalmente gobiernan el Reino Unido. "Britain can benefit from immigration, but not uncontrolled immigration. Look at any aspect of life today and you will see the contribution that migrants have brought, and not just to the economy. We want to continue to attract the brightest and the best people to the UK, but with control on the overall numbers coming here. A Conservative government will reduce net immigration to the levels of the 1990s – tens of thousands a year, instead of the hundreds of thousands a year under Labour. * We will promote integration into British society. There will be an English language test for anyone coming here from outside the EU to get married. A Conservative government would also apply transitional controls as a matter of course for all future EU entrants".